Do You Need More Hydration? If you live in Florida, like me, you know how insanely hot and humid it’s been lately – and running in the heat is tough on the body. 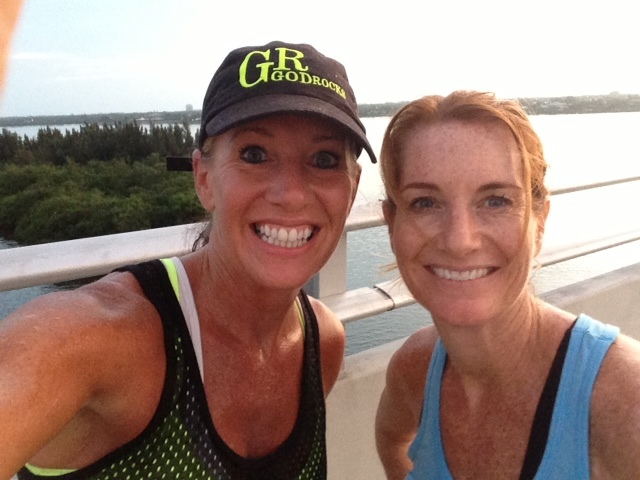 (This is a pic of me & my BFF at the top of one of the bridges we run on our big group run from our gym, everyone in our town calls “The Loop”.) 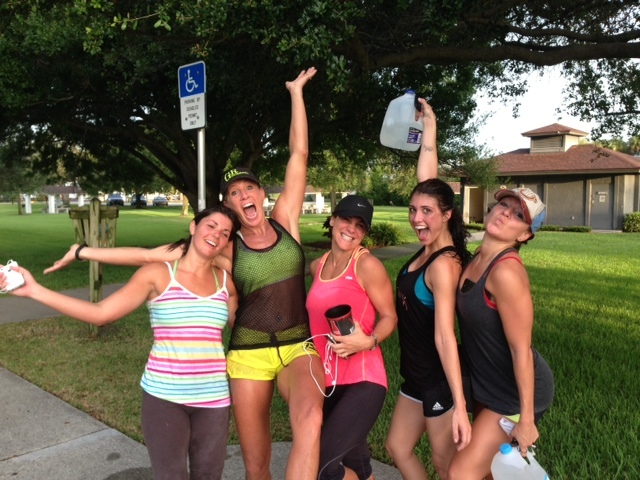 After our 6-mile run last Saturday, I literally looked like I jumped in a pool with my clothes on when I was done. I could tell I needed some serious hydration – QUICK! Luckily, I was given some ORAL I.V. to try out. What’s ORAL I.V. ? (What’s what I said!) Well, it’s a liquid hydration aid. 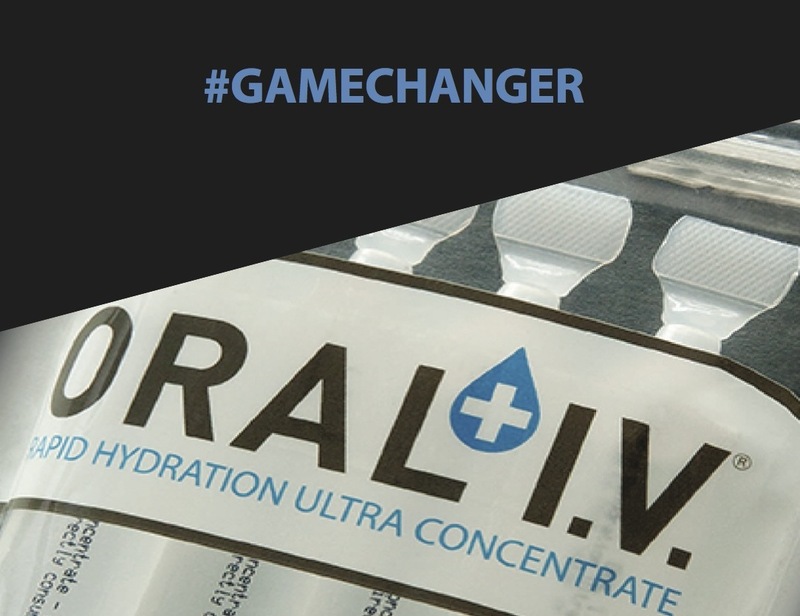 After I drilled the company with questions so I could understand their product better, basically what I learned was it was a solution of electrolytes, minerals and purified water that is absorbed more rapidly than typical hydration drinks. That’s why they call it “I.V.” because of it’s rapid delivery system. So, when do you take it? You take one vial of ORAL I.V. with water for every 4 to 6 hours of strenuous activity. So, it’s great for before, during and/or after an intense workout or race like my buddy Jeff did (pictured here). 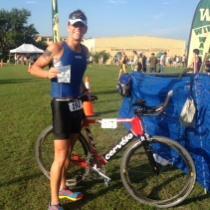 He really felt it help him rock his Tri sprint in this summer heat – coming in 3rd in his age group and 12th overall! Hydration is one of those mysterious things you can’t really say you “feel”, but what I notice is what I DON’T feel when I take it. For instance, on the day I took it after my run (This was our happy faces that the run was over), we also went to the beach for the day – so I was basically sweating all day. Normally, I would have been exhausted, sluggish, dizzy or even had a headache on a day like that. Instead, I had tons of energy, felt great and played hard all day long. Who takes it? Well, it was first made available to those who could truly put it to the test – members of the U.S. military and law enforcement communities, but now is used by many different people including MMA fighters (like Phil Baroni), professional football players (like Loni Paxton), Navy Seals, professional singers (like Wilson Phillips), swimmers, motorcross athletes, triathletes, marathon runners, CrossFit athletes, and ordinary people like me! 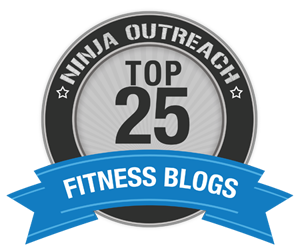 Here are what some CrossFit athletes say about their experience taking ORAL I.V. Check the color of your urine. It should be clear to pale yellow, not dark yellow or have a strong odor. Drink beverages with electrolytes in them when working in extreme heat. Avoid alcohol the day before a hard training session or doing hard labor (especially if you are going to be outside in the heat. Consume plenty of fruits and vegetables to help hydration (fruits, like watermelon, are very high in water). Weigh yourself before and after exercise to monitor water loss. 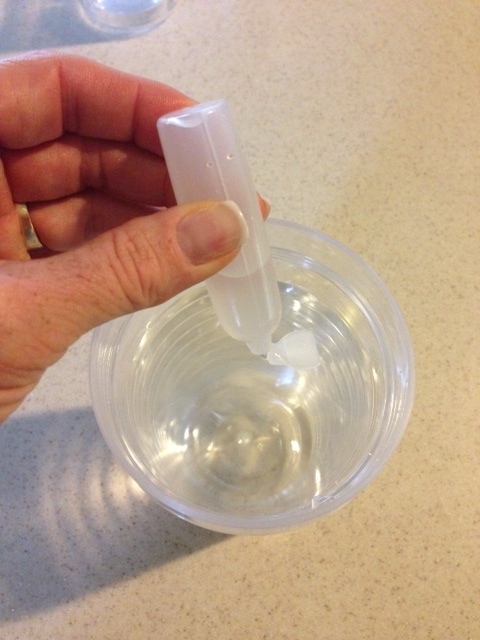 Drink at least 3 cups (24 ounces) of fluid per pound of water lost. Learn more interesting health tidbits from LiveScience.com. What Counts as Water? I also found these great tips from WebMD on what food and drink sources actually really hydrate you. Visit ORAL I.V. to learn more about their hydration aid!